Fifties style loafer shoes are nothing new in the fashion world, but it has taken the high street quite some time to catch up to the designers. 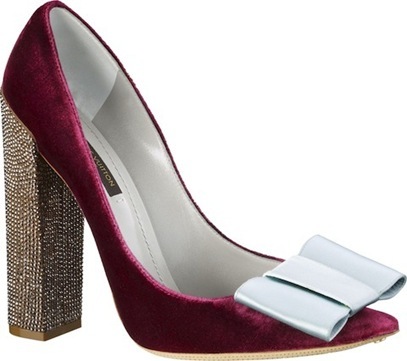 This season alone saw an abundance of loafer heels on the catwalk, from these Miu Miu beauties to the Louis Vuitton square heels and the Balenciaga architectural loafer heels that are to die for. So these beautiful heels has put me on a quest to find the perfect loafer heels that would be perfect for daytime work-wear. Here are some great ones I’ve found on the high street. 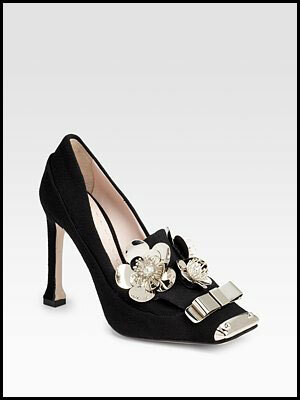 These Aldo beauties would be perfect with a smart pair of tan trousers and blouse. Though these Miss Selfridge loafers are more boots than heels, their grey colour and low heel are perfect for the daytime. 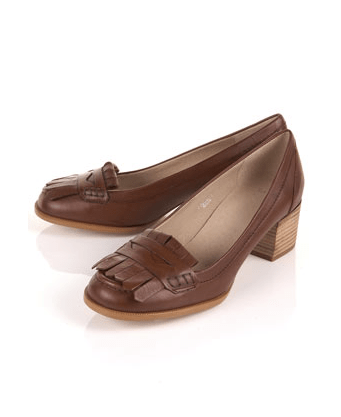 These Miss Selfridge tan block loafer heels are one of my favuorite, because they’re so elaborate and they would work well brilliantly in the day with a smart skirt or trouser suit and in the evening dressed up in a pair of denims. These New Look cream loafer heels look fantastic with their slim heel and cream leather. They also come in black. 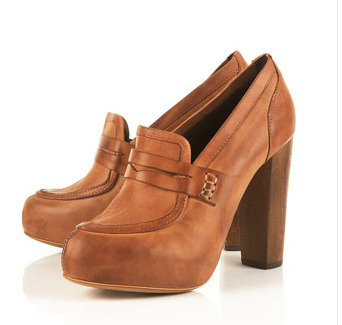 These Topshop Janis tan loafer heels have a much lower heel and I think they work because they are understated. These Topshop tan loafers combine the two trends of autumn/winter; the loafer heels and the seventies trend with their chunky heels and tan leather colouring. 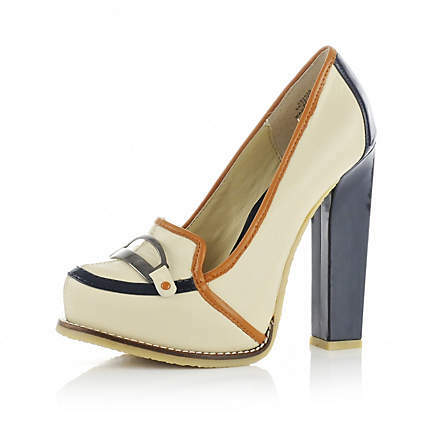 These River Island cream loafer heels are by far my favourites. The colour scheme on them alone is brilliant; cream, tan strips and a dark blue heel works perfectly with a cream work-wear dress or a tan pair of seventies trousers. 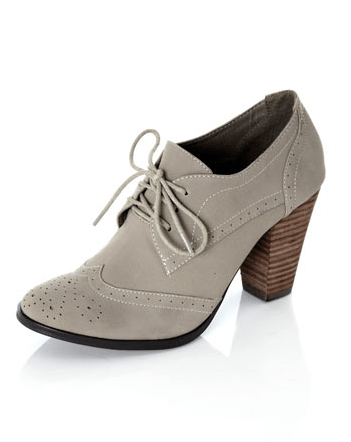 They also come in a tan with a brown heel, but these ones are by far prettier. Previous ArticleDo you know where this dress is from?